Dr. John Phillips is a renowned radiology specialist located in Jonesboro, Arkansas. 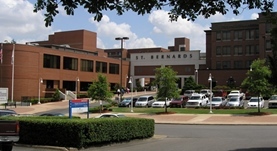 He is working with multiple hospitals in the area, including Lawrence Memorial Hospital, St. Bernards Medical Center, and NEA Baptist Memorial Hospital. He received his diploma from the University of Missouri - Kansas City School of Medicine. He did his residency in Radiology at the University of Tennessee and in Internal Medicine at Mayo School of Graduate Medical Education. The doctor is certified in Diagnostic Radiology and Nuclear Radiology and has more than 20 years of experience.